Spring is here and it can be a good time for spring cleaning your house, and also a good time to do a nice mental health cleanse. This time of year can be energizing with the blooming trees, flowers, birds, and pleasant weather. Take advantage of that energy and use it to take a good hard look at how you might want to change your life. One way to do this is by “meditating” or “visualizing” on what those changes might be. You may also consider changing a relationship by doing a “relationship cleanse”. Another area you can spring clean is your relationships. We can call this a “relationship cleanse”. Start by taking a look at relationships that have worked in past and those that didn’t. Write down what is most important to you in a relationship and what you cannot tolerate or what seems to exhaust you. Now picture your circle of relationships. The inner circle is usually made up of family and very close friends. For those people who are single this would include any relationship that you would consider significant. The next circle is good friends and family you don’t connect with as often. 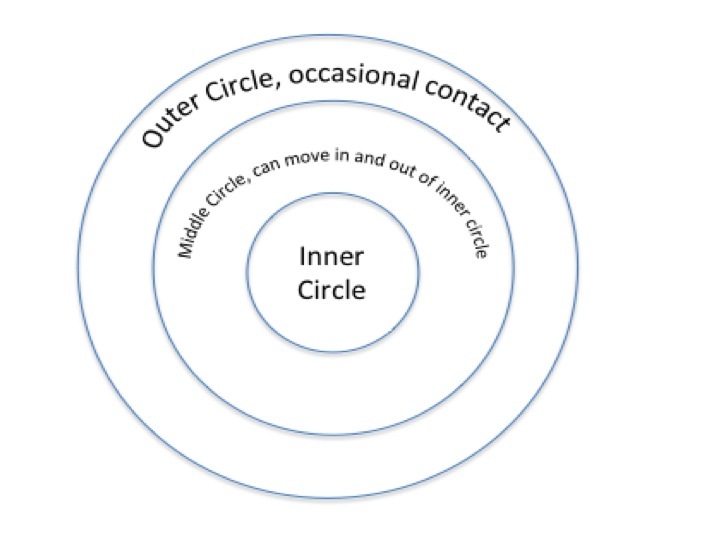 The outer circle would be those people you need to deal with either at work or school, however, you don’t need to have an intricate relationship. Once you look at criteria for each circle and you have mentally ‘tagged’ the people in your life as to which circle they fall into you can visualize how moving someone from one circle to another would improve your life. This visualization will help you see the boundaries you want to continue, remove or create. Whatever you decide to do to make changes in your life you need to remember to start slow and make changes incrementally. Doing everything all at once tends to be overwhelming and not long lasting. Less really is more when it comes to mental health movement. Be sure to discuss any big changes with loved ones and get some help and support. If you find it hard to even think about making any changes and you are having trouble with everyday tasks, you might need to talk to a professional. Please don’t struggle with any type of depression by yourself. Ask around for referrals or go to http://www.therapistlocator.net for a Marriage and Family Therapist near you. Lenore Pranzo, MA, LMFT is a licensed Marriage and Family Therapist in Redding, CT with a private practice in her home and an office in Fairfield. She is a mother of 5 year old twin boys. She works with couples, teens, groups and individuals on issues including substance abuse, fertility, anxiety, depression, marital strain, and stress management. Her phone is 203.274.0158 and website is http://www.reddingcounseling.com. This entry was posted on March 27, 2012, in anxiety, mental health and tagged mental health, Uncategorized.